What is a ‘heavy duty loft ladder’? Anyone can say they offer a heavy duty loft ladder, but what does it really mean? Well, the first thing to look for is whether or not the loft ladder was constructed and tested in accordance with EN 14975. 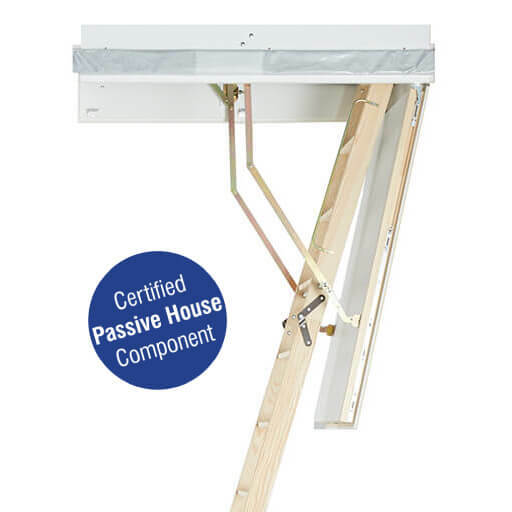 This European standard makes sure that the loft ladder can withstand a variety of dynamic and static load tests. EN 14975 also defines the loft ladder geometry to ensure the safety of its users. The next thing to consider when looking for a heavy duty loft ladder is its load rating. Opt for something with a higher rating than the EN 14975 minimum of 150 kg, such as our Supreme and Elite loft ladders. 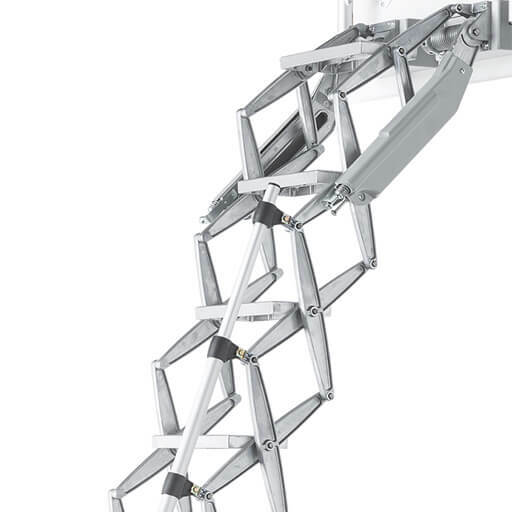 These heavy duty loft ladders have a load rating of 200 kg per tread. 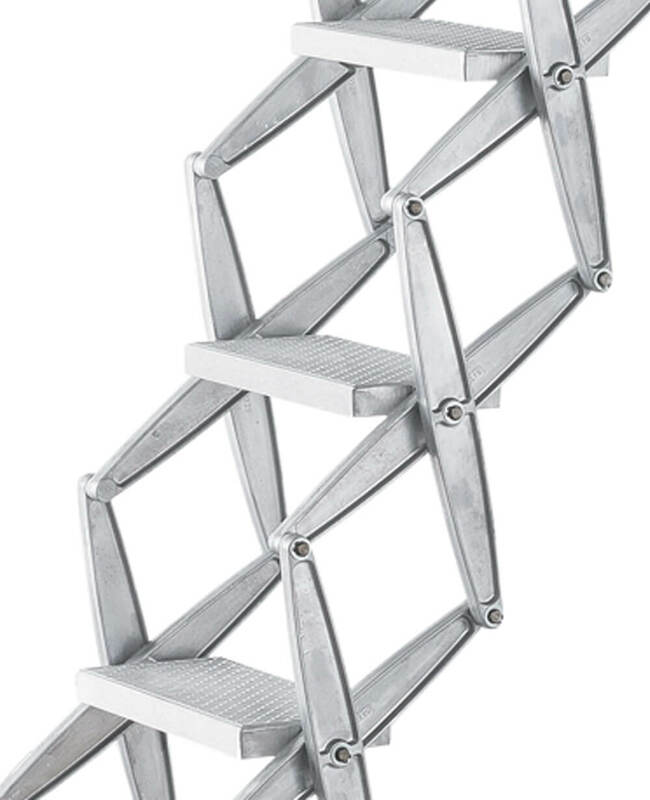 Heavy duty concertina loft ladder. Load rating of 200kg per tread. Also check that the loft ladder comes with a warranty. In addition, wide steps are important for safety and comfort. Read our Wide Loft Ladders article for more info and advice on this subject. 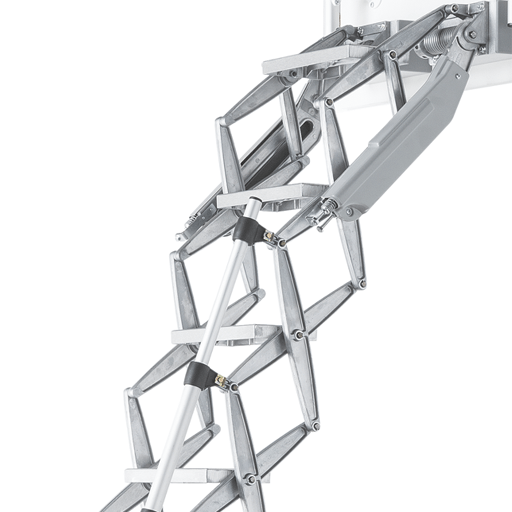 Finally, choose a heavy duty loft ladder that is rigid and does not flex during use. 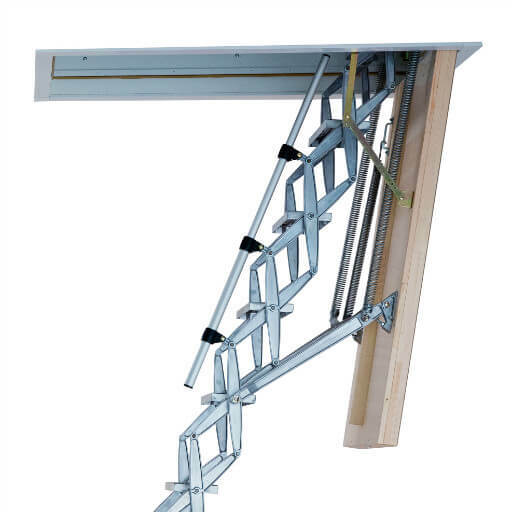 There are several styles of heavy duty loft ladders, including sliding aluminium ladders, folding wooden loft ladders or retractable loft ladders. Each have merits and cater for various budgets. 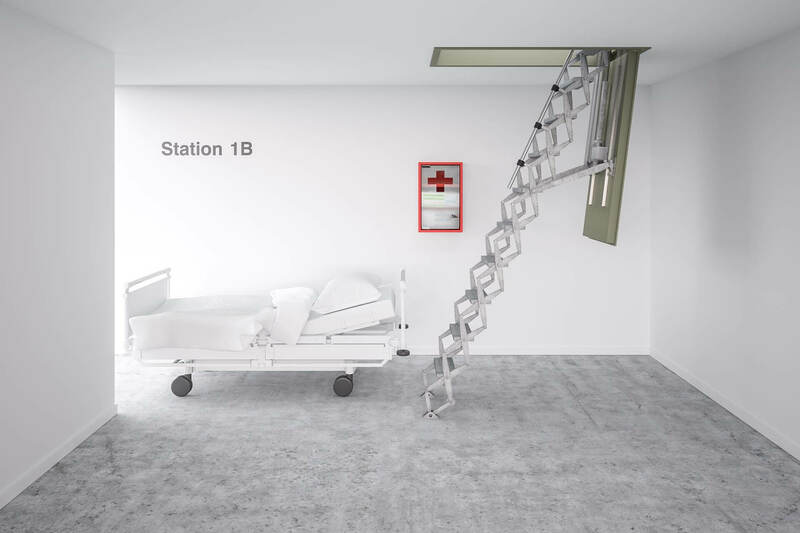 For ease of operation and minimal protrusion into the space above the hatch, we recommend either retractable aluminium loft ladders or folding loft ladders. Premier Loft Ladders have been supplying heavy duty loft ladders to customers throughout the UK and overseas for over 15 years.  Furthermore, our industry proven products for the commercial and industrial markets are manufactured in Germany by Columbus Treppen and Austria by Wippro. They are renowned for their quality, reliability and energy efficiency. 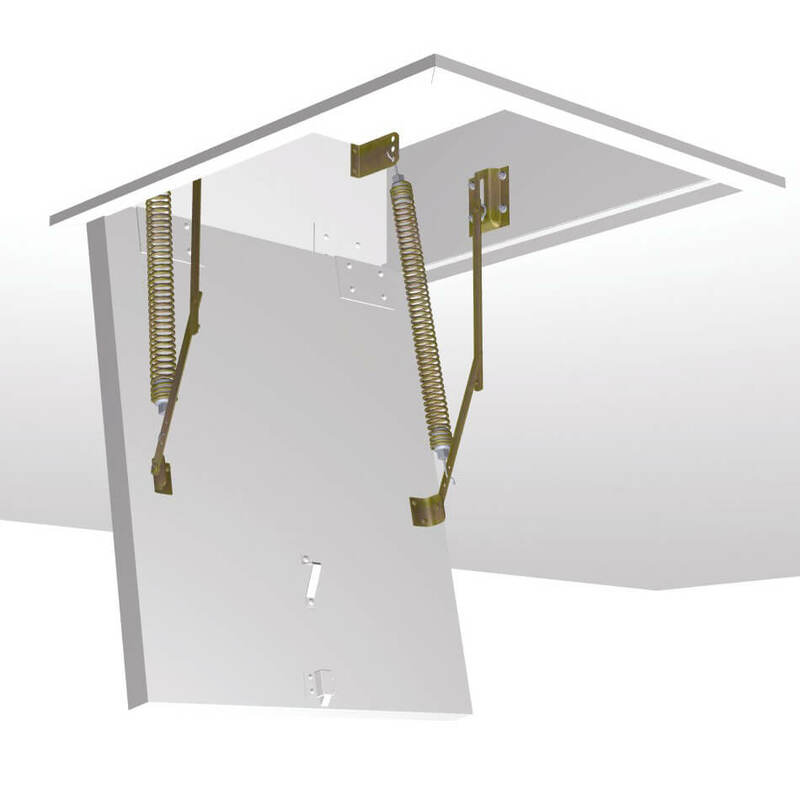 As such, our heavy duty loft ladders offer perfect operation for many years after installation. In fact, they come with a 10 year operational warranty. The following loft ladders are recommended for their strength, durability and ease of operation.  Furthermore, the Supreme is our most popular product and available with a wide range of options to suit every need. A heavy duty loft ladder alone may not be enough for the most demanding projects. For example, this could include use in public spaces, where a secure and durable hatch is required. Alternatively, the loft ladder may be required to prevent the spread of fire. 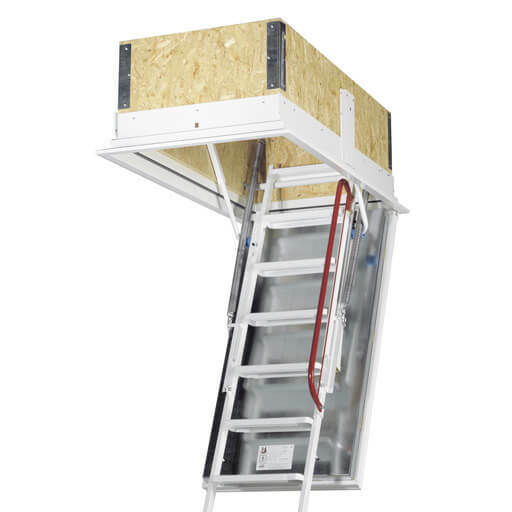 In these cases, we recommend a Supreme loft ladder with steel hatch box. The Supreme with steel hatch box is available with up to 90 minute fire protection. Also, it is made-to-measure and available with a range of options, including a security lock. Furthermore, it is suitable for deep ceiling voids and can be supplied complete with a flat roof access hatch. Supreme Electric loft ladder with fire rated steel hatch. Ideal for the most demanding projects, such as hospitals.